Petrol stations are strategically placed around the globe to be accessible to the world's extensive fleet of motorised transport. All petrol stations (called gas stations in the US) contain a petrol pump, a cash register and a shop attendant. This distribution pipeline for petrol can be effectively used for other products too. Cars need oil and drivers get thirsty so why not package up oil and canned drinks and sell them too. You see, it is easy to add extra packaged products to an existing pipeline. A company which produces the product, like the Coca-cola company. Promotion and Price. These should also be mentioned to complete the four Ps of a marketing strategy: (Product, Price, Promotion and Place - or distribution pipeline). Geospatial and Software Conferences are an attractive marketing pipeline for Geospatial Free and Open Source Software (GeoFOSS). These conferences attract key purchasing decision makers, the conferences occur around the world using a standard format of speakers + exhibition booths and GeoFOSS has a world wide pool of enthusiastic champions willing to man booths and give presentations. To fill the potential for this conference pipeline, we need a conference exhibition pack. This pack could include a stack of demo DVDs, fliers, an OSGeo banner or two, GeoFOSS demos running on a computer and train-the-trainer material for GeoFOSS exhibitors. My feeling is the demo DVD is the most valuable sales tool in the pack and should be given our initial priority. The demo DVD can run on a computer in an exhibition booth and I've heard a lot of people walking away from GeoFOSS workshops with a demo DVD saying they will try the demo DVD at home with their own data. OSGeo exhibitors will have professional material to present which will increase the exhibitors' professionalism and sway more users toward GeoFOSS. GeoFOSS software developers will have an international marketing team selling their projects. The offer to developers is, "Get your packages into the demo DVD, get your marketing material sorted and your products will be marketed internationally by a team of GeoFOSS evangelists". GeoFOSS Sponsors will have an extensive marketing channel which will justify sponsorship in return for advertising. We need sponsors because OSGeo's modest marketing budget won't cover costs for a presence at all key international, geospatial conferences. Once established, GeoFOSS products can be marketed through other channels as well, (e.g. the demo DVD can be handed out to new University students) and other products can be marketed through GeoFOSS channels (e.g. The OGC are considering developing a persistent, standards based Geospatial Integration Showcase). So I propose that we, the GeoFOSS community, build our marketing pipeline, starting with a GeoFOSS exhibition pack and GeoFOSS demo DVD. The marketing pipeline will have a major impact on the GeoFOSS market and will spawn numerous related projects which make use of this direct line to users. With so many organizations publishing geospatial datasets using standards based web services, a raft of new opportunities for large scale data analysis are presenting themselves. The challenge now is integrating the datasets which use different terms and attributes to describe the same data. For example, "water quality" (good, medium, bad) in one database might equate to "pollution level" (1,2,3,4,5) in another. Communities, like the hydrology community backing the Australian Water Data Infrastructure (AWDIP), are solving these data integration issues by defining a community schema for their domain, then ensuring all agencies publish data using the community schema. Community Schemas are used to describe a rich set of semantics for a domain, using basic building blocks provided by Geography Markup Language (GML). This allows communities to define schemas appropriate for their data to be used for data transfer within their community. The schemas can then be referenced to ensure consistent structure and taxonomy between related datasets, improving the communities’ ability to share data. For example, a hydrology schema may define a class called Water Use with acceptable terms defined as irrigation, domestic, and industrial. A dataset published with an invalid Water Use of farming will not validate and the user will know to correct the mistake. Defining a community schema for a domain is non-trivial as it requires participating parties to create and agree upon a data architecture, vocabularies and an interchange protocol. Luckily, the first community schema projects have left a trail of reusable building blocks and processes that can be used by future efforts. For instance, specifications for Observation and Measurement (O&M) were developed as part of the Sensor Web Enablement (SWE) specification and have since been used as a component in Geoscience Markup Language (GeoSciML), Water Markup Language (WaterML) and others. Other building blocks include Geography Markup Language (GML), SensorML, CityGML and the ANZLIC profile of ISO19115 for Metadata. The other critical component in the development of a community schema is buy-in, governance and testing from the user community. This is often an international effort. GeoSciML, a schema for geology, has participants from BGS (United Kingdom), BRGM (France), CSIRO (Australia), GA (Australia), GSC (Canada), GSV (Australia), APAT (Italy), JGS (Japan), SGU (Sweden) and USGS (USA) and the OGC (International). Communities need to adopt a governance structure to resolve the inevitable disagreements over technical details. The GeoSciML community, who started in 2003 and are now onto their third schema iteration, have organised working groups for information model development, computational model development, vocabulary definition, defining use cases, testing the schemas in a formal test bed, then promoting the schema though an outreach working group. A key element in the success of GeoSciML is the fact that custodianship of geologic information is managed by similar agencies in most jurisdictions (Geologic Surveys) and these have a history of collaboration. Most agencies will first encounter a community schema when they are asked to deploy their datasets using one. Spatial data is collected by numerous agencies, for various purposes, following different collection guidelines. Storage models tend to reflect the original data use and are rarely designed for data exchange. When data is published through web services, the schema usually reflects the storage model. This works fine for the original application but is an integration nightmare when trying to share data between agencies. Changing the storage format usually isn’t desirable if it breaks legacy applications or introduces sub-optimal performance. Hence, it is necessary to differentiate between the storage and exchange formats. Storage format can be defined by the custodian who generates and maintains the data. The challenge is to map the storage model to a community schema. Again, prior projects have built a suite of tools to help out. Funding from Australia’s National Collaborative Research Infrastructure Strategy (NCRIS), CSIRO and DPI Victoria has added community schema support into GeoServer, an open source WFS and WMS server. Deegree, another open source WFS/WMS is also being investigated. The open source FullMoon supports transforming UML data models into various GML application schemas and is being managed by CSIRO. Duckhawk, an open source WFS & WMS robustness and validation testing tool was developed for the Australia Water Data Infrastructure Project (AWDIP) for testing WaterML. There is a common theme developing around community schemas; many of the tools being developed are open source. Spatial Data Infrastructures (SDI) increase in value as more agencies contribute data to them. Also, users who benefit most from the infrastructure are often not the agencies that collect or manage the data. This results in large organisations developing SDI’s to aggregate and serve data from numerous smaller, more specialised agencies with different priorities, budgets and timelines. In order to encourage these smaller agencies to manage and publish their data using community schemas, SDI sponsoring organisations like NCRIS are developing Open Source tools in order to reduce the financial barriers faced by small agencies in getting their data online. Australia, like the rest of the world, has a huge variety of data sets all fulfilling their own purpose and while data integration is non-trivial, we have the knowledge, tools and processes to integrate disparate datasets. This will enable more powerful analysis and new business opportunities for all participating parties. I'd like to thank Stefan Hansen, Software Developer at LISAsoft who was technical lead on the Duckhawk WFS conformance and performance testing framework who helped research this blog. Also Rob Atkinson and Simon Cox who provided a lot of background on CSIRO's involvement with Community Schemas. A version of this article will be published by Position Magazine in their December 2008 edition. Wikis are good for collecting information from a community but they are limited when it comes to editing and reviewing - an important stage in the writing process. Sure, wikis have tools to allow people to change others comments and review a history of changes, but I'm yet to see a wiki editor with "Track Changes" similar to Word or Open Office and consequently we don't edit wikis as much as we should. In particular, we don't remove irrelevant content, an essential component for clear, concise articles. The problem is that wikis don't help us honour the unwritten social law of reviewing. "It is OK to suggest changes to an author but it is disrespectful to change content without the author's blessing." Author 1 writes, and asks others to extend their page. Authors 2, 3, 4 add content (making sure not to remove prior content). Wiki is published after each update. If dedicated, author 5 looks for all previous authors to ask permission to consolidate their text. Author 5 rewrites the page. The problem is that we often get "wiki paralysis" at the clean up stage and consequently many wiki pages are long, repetitive and disjointed. LISAsoft have sent the FOSS4G 2008 LiveDVD off the to the printers and it will be handed out by Tim Bowden at the OSGeo stand at FOSS4G. Next, we'd like to work with the OSGeo community to automate building of the LiveDVD and related packaging efforts like osgeo4win, portable GIS, Debian and Ubuntu GIS, etc. LISAsoft have built a LiveDVD containing a stack of quality, Open Source, Geospatial Software. The DVD will be handed out at FOSS4G 2008 and we want help testing it before we burn it. Download the FOSS4G-2008-LiveDVD image from: http://download.osgeo.org/livedvd/ . Please download and complete testing by Close of Business, Wednesday 24 September. The FOSS4G 2008 LiveDVD is an Ubuntu based distribution of software with a stack of Open Source Geospatial software installed on it. To use the LiveDVD, a user should insert the DVD into your computer, then start or reset their computer so that the computer uses the LiveDVD operating system instead of the existing system. To return to normal, merely remove the LiveDVD and restart the computer and everything will be exactly as it was before. The LiveDVD is based upon Xubuntu 8.04 (a derivative of Ubuntu linux) and extends Omniverdi's previous LiveDVD. Mark Leslie and Stefan Hansen from LISAsoft who have been putting in extra hours getting a quality DVD out. Omniverdi for providing ground work that we can build upon. Lots of others from the packaging email lists who have offered advise and testing. And of course, all the software developers who have built the open source packages that we have packaged. We, the Mapbuilder Project Steering Committee, have agreed that the time has come for the Community Mapbuilder project to gracefully retire. We will release a final, stable 1.5 version of the software, and afterwards there are no planned enhancements to Mapbuilder. The web pages and code will be kept alive, a few bugs might be fixed and we will likely continue answering user queries, but we expect Mapbuilder will gradually fade away into history. Mapbuilder is a stable, feature rich, standards compliant, fast, webmapping framework with a strong developer community. Why has it come to the end of its life? The browser based webmapping space has become crowded and other webmapping clients have increased in functionality and attractiveness to users. In particular, Openlayers is simpler to use, has attracted an incredibly strong developer community, has good quality control and development processes, and has developed most of the webmapping functionality previously only offered by Mapbuilder. Basically Openlayers is attracting the majority of the users and developers that previously would have used Mapbuilder. One day someone will write a compelling paper on the history of the two similar projects and analyse the key differences and decision points which led to one project out shining the other. Well, maybe we feel a twinge of loss for the Mapbuilder project we started years ago, but in the bigger picture, we see the retiring of Mapbuilder as a good thing. It will allow the greater web mapping community to consolidate and rally around the remaining webmapping tools – in particular, around Openlayers. There has been significant collaboration between the Mapbuilder and Openlayers communities over the last couple of years. Mapbuilder has incorporated Openlayers as its rendering engine and features have been shared between projects. In many cases, developers from both projects worked on the same codebase (in Openlayers), then ported up to Mapbuilder. This was a deliberate move toward the merging of the two developer communities and most of the Mapbuilder Project Steering Committee have contributed to the Openlayers codebase. So in essence, by changing our allegiance from Mapbuilder to Openlayers we take with us some of our code, we replace some features with equivalent Openlayers features, we take our community with us, and we gain an existing, robust and welcoming community. We loose a little and gain a lot more. What should Mapbuilder users do? Users have a few options. You already own the source code, so you are welcome to continue maintaining and extending the Mapbuilder code for as long as you like. At some point, users will likely want to upgrade, and at that point we suggest considering Openlayers for your application. It now provides the majority of the functionality that was previously only offered by Mapbuilder. What about Mapbuilder's standing with OSGeo? Loosing a graduated project might seem like an embarrassment for OSGeo, however, I'd argue it is a strength. It shows two projects growing together under the OSGeo umbrella and eventually merging into a stronger, more focused community. Even so, it raises a dilemma with regards to what should be done with a retired project. Some key OSGeo criteria like “Community Backing” and “Best of Breed Software” will gradually be lost, so OSGeo should stop recommending Mapbuilder. But, OSGeo shouldn’t erase Mapbuilder's history with OSGeo as Mapbuilder has documented valuable lessons learned during the graduation process. We suggest OSGeo create a new “retired” project category. We, the Project Steering Committee, have derived a huge amount of pleasure building Mapbuilder and working with the Mapbuilder Community. For many of us, Mapbuilder has been a launching pad into a full-filling Open Source and/or Geospatial careers. We'd like to thank all the users, developers and supporters of Mapbuilder we have met along the way. Want a religious Open Source experience? This week, half a million Catholic youth are congregating in the holy city of Sydney, Australia and are being led in prayer by Pope John Paul himself. You have probably seen it covered in the news each night. You recognise the city? Yes, its the same Open Source mecca where the 12 tribes of OSGeo will gather in November 2009 for the FOSS4G conference. Of course, you don't have to wait until 2009 to hear your favourite OSGeo preachers. FOSS4G 2008 in South Africa is almost upon us. Misapplication of “value for money” requirements when purchasing software results in poor value for money - Government purchasing policies for software tend to support the creation of monopolies. Government purchasing has effects on the price paid by citizens for the product purchased. In some cases purchasing produces volume which permits scale discounts and therefore a net benefit to citizens who also purchase the product. However, in the case of lock in software Government purchasing can create a monopoly in the software which leads to increased costs for citizen purchasers and a net detriment for society as a whole. 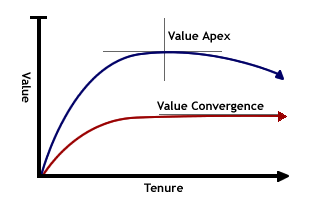 It is not appropriate for value for money policies to be assessed on a per acquisition basis when software is being acquired. Doing so will almost certainly create net costs for the community when considered in the aggregate. Read the rest of Brendan Scott's article here: The Tragedy of the Anti-Commons. Many government agencies are extending Open Source Software to solve their business problems. Open Source offers many advantages, including free licensing and engagement of an international pool of developers, but it does require appropriate investment and management to capitalise on Open Source’s offerings effectively. After deciding to extend Open Source Software, agencies are faced with a relatively new business model, open source sponsorship. Agencies need to align purchasing policies, based upon deliverables and milestones, with Open Source community development. Under a proprietary business model, a company builds and markets a product. Multiple customer sales cover the cost of development, supporting infrastructure, marketing, support, future enhancements and hopefully include a profit. While Open Source business models incur the same costs as the proprietary models they generally distribute the costs to the end users differently, charging for the implementation of specific functional or usability improvements. Initial investment in communities, infrastructure, and marketing for an Open Source project is often the most effective way to ensure a long term return on investment as these areas are commonly neglected in favour of feature enhancements. Proper promotion and infrastructure support, instead of a sole focus on missing features, will encourage project growth and ultimately lead to open source Nirvana: hundreds of developers building your application using someone else’s budget. Management should justify investment in a project as Opportunity Management. Opportunity Management is the inverse of Risk Management. With risk management you quantify what can go wrong then identify mitigation strategies to avoid or reduce the impact of the risks. With opportunity management you list potential windfalls and deploy strategies to enable and benefit from the windfalls. Table 1 shows an example opportunity management matrix. Use data from external agencies. Agencies are given access to open source tools to reduce their barrier to sharing data. Use Open Standards for tools to facilitate communication. Use Open Standards for data schemas so data can be integrated. External Agencies extend our toolset. Use and share our tools as Open Source Software so that others can use and extend them. Support the Open Source development processes to reduce the barrier of entry to potential development sponsors. Solves a specific need effectively. Has an active, diverse and inclusive community. Enjoys support from multiple sponsors. Clear and comprehensive documentation and marketing material. The OpenLayers project is a good example of a commercial entity driving the creation of a thriving open source project. OpenLayers is an open source, browser based web-mapping client which provides a front end to various proprietary and open data sources like Google and Yahoo Maps, WMS and WFS. In three years OpenLayers has grown from nothing to be the dominant open web-mapping client, attracting the majority of the users and developers in this space. OpenLayers was initially sponsored by MetaCarta who needed a browser based application to support their mapping services. Rather than focusing on features, MetaCarta focused much of their investment on infrastructure and community support. In particular their effort was spent answering developer and user questions on email and IRC, monitoring the quality of code contributions, and setting up automated testing. Many of MetaCartas engineers have developed a personal interest in OpenLayers which MetaCarta encourages by allowing the engineers to spend some work time on the project. Today, OpenLayers has an incredibly active developer community requiring minimal support from MetaCarta and have provided functionality significantly greater than MetaCarta’s original scope. Key to the success of OpenLayers has been the long running, dedicated community support provided by Chris Schmidt from MetaCarta. GeoServer1, another Open Source project, has recently introduced a similar community liaison role, dedicated to community support and marketing. The role of Community Liaison has always been key to Open Source and often is filled by volunteer enthusiasts, however commercial deployments of Open Source creates a workload volunteers can’t maintain and hence industry hires these volunteers instead. Ensuring that the community is supported in this fashion promotes the uptake of the project, increases the user base, which in turn attracts more sponsors and more developers. This leads to the situation where many developers are employed by a variety of sponsors to create new features and improve the performance and stability of the project. There are a number of tasks and roles that need to be addressed in order to ensure a successful open source project. These are described below. A person or team is required to answer user and developer questions, review submitted code from external developers to ensure quality control and ensure that all submissions meet the project requirements in terms of test coverage and documentation. This is one of the most effective investments in a project. All projects should invest in tools and processes such as automated build systems, issue trackers, concurrent versioning systems as well as ensuring that releases are performed smoothly and regularly. Good, current design and implementation documentation lowers the learning curve for developers supporting and extending software and greatly increases productivity. Good user documentation engenders confidence in project reviewers which in turn will lead to greater adoption. While Open Source benefits significantly from community generated promotion, it is enhanced by prudent investment in web pages and presentations for targeted conferences. One of the main reasons given for avoiding Open Source is not being able to call someone to fix problems. Offering commercial support for a project you use will go far in encouraging adoption by other organizations. Microsoft Office has been especially successful because it integrates a suite of related products and bundles them all together in one easy install. Open Source products improve their attractiveness in the same way. Due to the release-early/release-often approach of most open source projects, they are often leveraged to develop, test and extend open standards. This makes open source projects among the earliest adopters of emerging standards, encourages the uptake of open standards and makes the projects attractive to those interested in sharing data between agencies. Just like proprietary software, a sponsor’s software development should be managed using standard software development processes. This includes estimation; planning resources, work activities, schedules, budgets, deliverables; monitoring schedule, quality, risk, issues, contractors, configuration management. Measurement is a key tool used during proprietary Project Management, as good metrics enable good management decisions. Good measures highlight whether specific business goals are being met and enable management to alter their strategy early if issues arise. Metrics are under-utilized in many open source projects as developers usually drive their own agendas, are self motivated, and spend less time on Project Management. However metrics based decision making can be equally effective for Open Source projects especially for sponsors who will need to answer to commercial milestones and targets. Standard software development metrics should be complemented by measures to monitor the health of an Open Source community. The Community MapBuilder project tracks many of these metrics. There are now a number of dedicated tools which automate many of the common software metrics. Should my organisation sponsor Open Source? If your organisation is considering a long term use of an Open Source product, it will likely be smart to invest in the project’s infrastructure. Audit the project against the checklists above, cost the areas needing improvement, set up an opportunity register and determine whether prudent investment will be of value. The value a good employee brings to a business eventually plateaus when the employee has less new ideas they can contribute. At that point, the employee will look for challenges of a new role or a new job. As employees and employers we need to recognise and embrace this cycle so that we can maximise the potential benefits. Sydney, Australia. Monday 5 May 2008. The Open Geospatial Foundation (OSGeo) has selected Tour Hosts to manage the international conference for Free and Open Source Software for Geospatial (FOSS4G) to be hosted in Sydney 17-21 November 2009. FOSS4G is heralded as the international "gathering of tribes" of open source geospatial communities, where developers and users show off their latest software and projects. The theme for 2009 is "User Driven", highlighting the power of Open Source to solve business problems. Tour Hosts were selected based upon their track record hosting quality international conferences for technically savvy audiences, their experience marketing to the government sector (a key user group), and their experience attracting international audiences, especially within the Asia-Pacific region. Bruce Bannerman, chair of the selection committee, summarized, "I'm confident Tour Hosts will ensure FOSS4G is well attended and memorable for all delegates". Great conference full of the latest open source geospatial goodies and all the geospatial open source celebrities. Hosted in Sydney, with a beautiful harbour and golden beaches. November is almost summer and is beautiful warm weather. And now add first-class conference organisers who will ensure the event is run like clockwork. The Open Source Geospatial Foundation (OSGeo) has been created to support and build the highest-quality open source geospatial software. The foundation's goal is to encourage the use and collaborative development of community-led projects, data development and education. The Australian and New Zealand chapter of OSGeo focuses on local issues like promoting OSGeo principles at conferences and lobbying for and building open, local, geographic datasets. FOSS4G is the international gathering of open source, geospatial tribes. The spatial industry is undergoing rapid innovations and the open source spatial community is one of the forces driving the change. From its beginnings the FOSS4G conference has been the gathering of the spatial tribes and has a reputation of being a melting pot for great ideas in the spatial industry and a catalyst for many successful geospatial products, standards and protocols. The 2007 conference was held in Victoria, BC, Canada and was a huge success. The 2008 conference will be held in Cape Town, South Africa. FOSS4G 2009 Sydney will be the seventh "formal" gathering of the open source geospatial community and is expected to focus on the increasing importance of FOSS4G in the public and private enterprise. LISAsoft has been contracted to test robustness and conformance of Web Feature Services (WFS) in the Australian Water Data Infrastructure Project (AWDIP). An Open Source robustness and conformance testing framework will be developed as part of this project. These testing tools will help system integrators and tool developers build quality Spatial Data Infrastructure which is robust and scalable. The WFSs deployed in AWDIP use the Community Schema functionality which was recently introduced to the stable 1.6 release of Geoserver. The GML returned by Web Feature Services (WFS) includes semantically defined geometric data describing points, lines polygons as well as other information, like Water Level or Water Use. Community Schemas define specific fields and acceptable values for the “Other Information” inside GML. Eg: Within a Community Schema we can define Water Use as: agriculture, irrigation, domestic, … but not farming. Using Community Schemas facilitates sharing data between data stores, and enables powerful business applications like the data analysis provided by AWDIP. Stress, reliability, load, performance, error handling and conformance testing will all be supported. Black Box testing will be used for most of tests, interfacing with the WFS through the Web Service interface. The tests will be configured using JUnit, allowing it to be incorporated into existing testing and continuous integration frameworks. Project specific tests, as required by AWDIP, will be developed as separate modules. White box testing will be done for specific AWDIP installs to test internal bottlenecks and database responsiveness. The Australian Bureau of Rural Sciences is responsible for the Australian Water Data Infrastructure Project (AWDIP), and have contracted LISAsoft to build a deployable testing framework for Geoserver deployments. The testing framework will build upon prior Geoserver/Mapserver testing done by TOPP and others. In particular, we will use Andrea Aime's blue print for performance tests which integrate into Geoserver's continuous testing framework. Rob Atkinson (CSIRO Australia) has been leading the effort to support data standards in Geoserver and has been involved in the design and deployment of AWDIP WFS nodes, as well as ongoing support for other international data standards such as GeoSciML. Duckhawk is the Open Source, WFS testing project. Interested parties are invited to join our email list and monitor or participate in the project. After manually converting many WMC files to OWS Context I convinced myself that it would be easier to write a stylesheet to do the job for me. As usual, the XSL took longer to write than expected, but it was much more satisfying. If you find any bugs, please report them in http://jira.codehaus.org/browse/MAP, and let me know you have reported them. Open Source, Open Standards, Open Architecture, Open Data, Open Communities were all hot topics at the West Australian Land and Information Systems (WALIS) Conference held in Perth Australia last week. I was honoured to chair an afternoon of well attended presentations on these topics, and help man an OSGeo stand where Open Source was discussed non-stop with attendees. Tim Bowden, a colourful Open Source personality introduced with an overview of Open Source, Open Standards and Open Data. Liz Kolster from the State Services Commission in New Zealand provided a lightning speech explaining how community engagement was achieved in New Zealand Government using techniques seen in Open Source development communities and Web 2.0 web sites. I presented with Simon Cox from CSIRO on Engaging the OGC in your R&D. Tim Cargo from the Navel Division at Thales Australia described the benefits of Open Architecture when extending a large legacy Combat System to include new components - use gateways to convert legacy system interfaces to standard interfaces. Sony Tham from Amristar talked about Workflow in business problems, when to apply Open Standards and when not to, focusing on issues associated with bandwidth. James Write and Alistair Fox from SKM reviewed browser based mapping clients. The top 5 recommended clients were open source, despite both proprietary and open source being considered. In another thread, Steve Jacoby from Information Queensland explained how Queensland government is moving to store most of its data under a Creative Commons license. High profile applications within the WALIS framework now use Open Standards and Open Source, and other agencies are investigating get involved. This is evidenced by the strong turn out at Open X thread of presentations and the continuous steam of people hovering around the OSGeo stand. Four commercial companies sponsored the OSGeo stand at WALIS demonstrating stable commercial support for Open Source. Support was sponsored by: Lisasoft, Gaia Resources, Maunsell and Lat-Lon. Equal numbers of government and research employees also wore OSGeo shirts and explained what OSGeo was all about. It was excellent to see such interest in Geospatial Standards and Open Source and I expect to see a lot more OSGeo in the near future. What do you do when you can't travel to best international conference for Open Source Geospatial Software? Get it to come to you of course. With some astute lobbying and networking, FOSS4G 2009 is coming to my home town in Sydney. I've had a burning desire to attend the FOSS4G conference since it started. It attracts the cream of Geospatial Open Source developers. People I collaborate with, sharpened theories against, and who share my virtual life. FOSS4G is where everyone meets face to face, networks and shows off the latest technologies. I want in! Travel is an issue for me. Initially, writing Open Source software was a hobby and I couldn't justify travel costs. Now, my wife works and we share kid pick up and drop off from school. It works like clockwork until someone leaves for a week. In true Open Source sense, I have an itch to scratch, which leads to creative thinking. If I can't travel to my friends, then why not bring my friends to me - all 700 of them. The idea sounded arrogant, self serving and daunting. I knew a couple of OSGeo sympathizers and developers in Australia, but they were already committed up to the eyeballs and I couldn't see where we could get enough spare energy to build a conference. And I knew nothing about conferences - hadn't even attended a major one. I mentioned the idea to a few people, one being Tim Bowden. Tim overflows with enthusiasm, especially when talking about Geospatial Open Source. Between the two of us, we found others who supported the idea, OSGeo users in Australian government (who later shaped our bid theme of "User Driven"), key people behind a Linux Australia conference in Sydney, and most importantly the Sydney Convension and Visitors Bureau (SCVB). The SCVB sole responsibility is to bring conferences to Sydney. Core business is putting out glossy proposals backed by statistics and great facts about Sydney. They put themselves at our service at no cost, being funded by government and the tourist industry. Wow! Suddenly my dream seemed feasible, even if it is blatantly self serving. We decided to be open in developing our bid as it builds a stronger, friendlier community and we would be pitching our bid to Open Source developers who share these ideals. This strategy paid dividends when the bid committee joined our email list and provided valuable feedback as we developed our proposal. They watched the strength and enthusiasm of our team grow. We telegraphed our intention to bid a year early and while 4 cities vied to host FOSS4G 2008, Sydney's bid was uncontested in 2009. Feedback suggested that other cities didn't bid based upon the apparent strength of our bid. This is a pity. If a city doesn't win the conference one year, it should be considered a likely contender the following year. Having numerous cities bid helps the committee plan ahead. Plan ahead. FOSS4G moves around the world to give everyone a chance to attend locally. Bidding cities should take a long term strategy. If you don't win one year, keep submitting until you do. The bid committee should suggest regions they would like to move to in the near future which will encourage cities in that region to bid. Feedback to unsuccessful bids should include targeted feedback, including rankings, to help cities refine their bid. Cities should engage the local conference industry. They are likely to provide their services for free in order to secure the conference. Network locally. A large, diverse team is attractive to selectors. Be open in your bidding process. While it may allow competing cities to gain advantage, you will demonstrate your strength and openness to the OSGeo bid committee. While I write this article as if our conference bid was solely driven by my selfish motivations, this was not the case. We had a large team of enthusiastic, motivated individuals who all contributed in major ways, which is why FOSS4G 2009 will be such a successful event. I'm just delighted that my dream to attend FOSS4G will be realized in the process.